Arda had a vision for her all-white wedding: classic yet modern, retro yet glam. 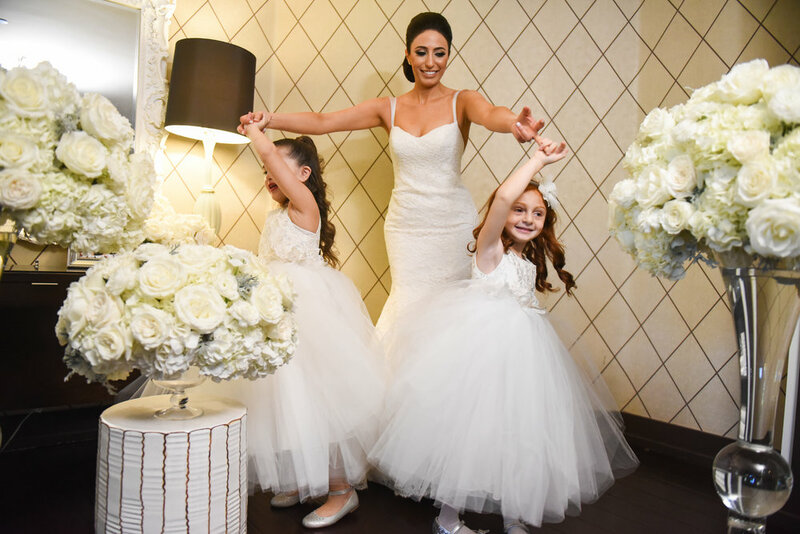 And in a stylish, custom fit-and-flare dress at a traditional Armenian wedding ceremony, we're honored to have helped her do just that. 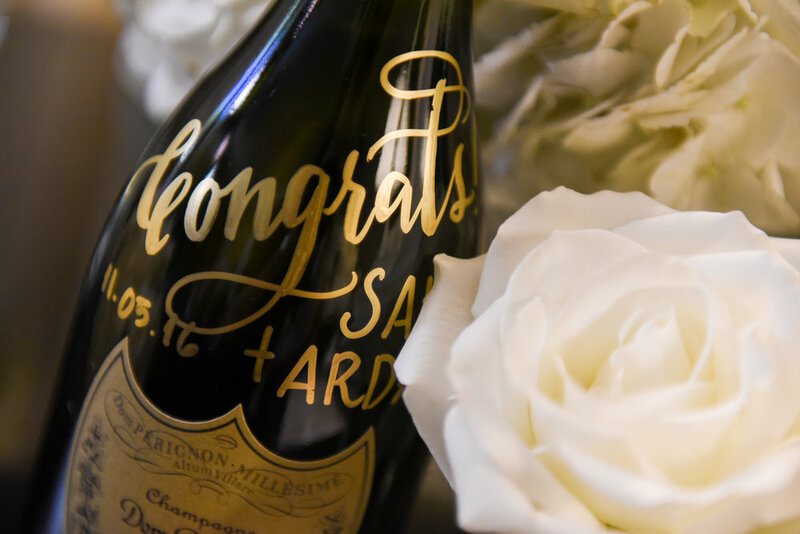 "When we first laid eyes on this timeless RMINE real bride wedding Palm Springs our hearts skipped a beat or two. The entire gallery captured by Armen Asadorian Photography is like looking at an advertising shoot. 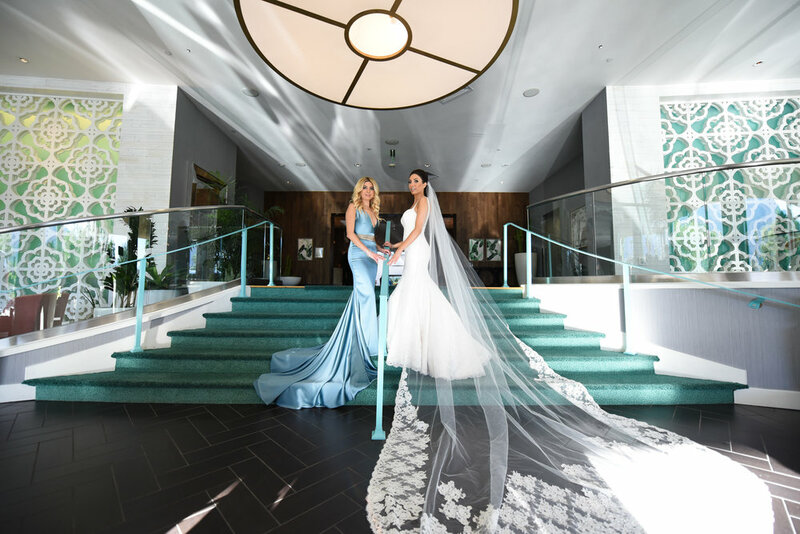 We had to remind ourselves that Arda and Sako’s fairytale at the Riviera Hotel Palm Springs was the real deal! With Hylah White Special Events at the helm of planning and Shawna Yamamoto Event Design on floral this elegance is one you will want to gaze at time and time again. A color palette that has classic white with a splash of silver once again proves to be a beautiful combination that ensures a sophisticated ambience." 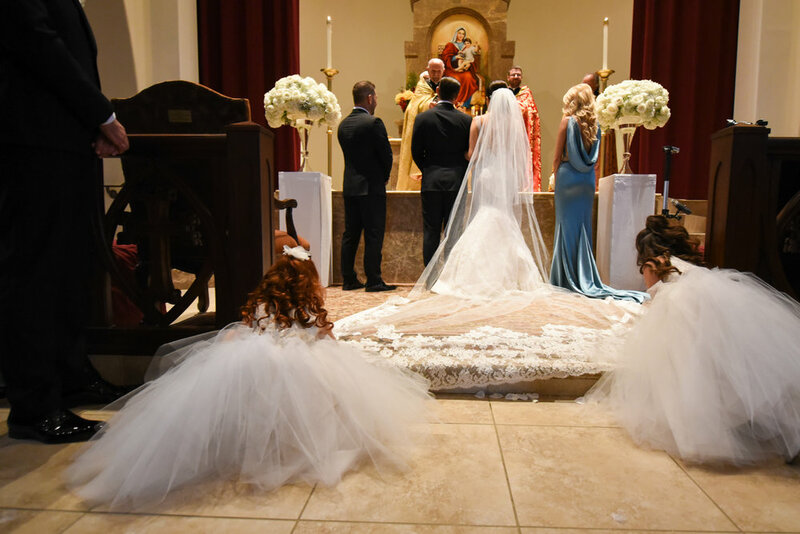 "..Not only did she wear a stunning custom made RMINE fit and flare bridal gown, but she also dressed her bridesmaids and flower girls in the same amazing designer. 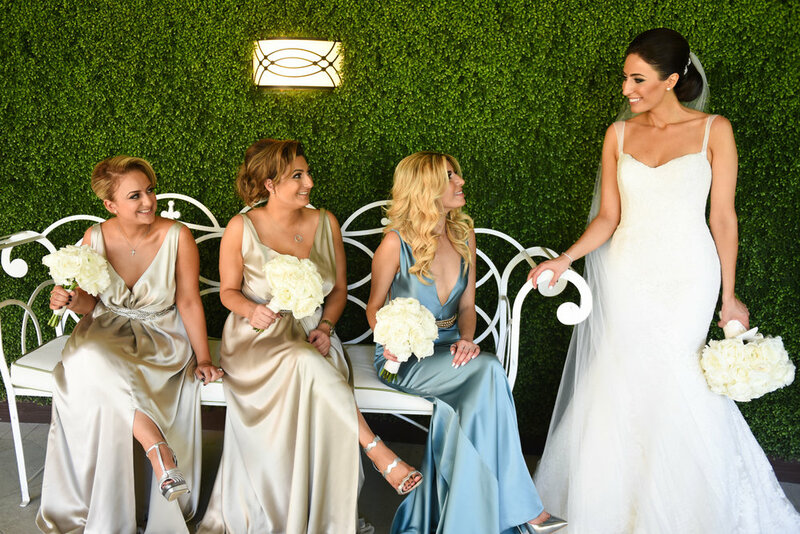 The combination of her maid of honor in a regal soft blue against her glam squad in champagne dresses is a modern, yet subtle approach to the trending mix and match trend."